Roy Choi is rightfully credited for launching two of the decade’s most influential (and often poorly copycatted) food tropes: the Korean fusion taco and the viral food truck. 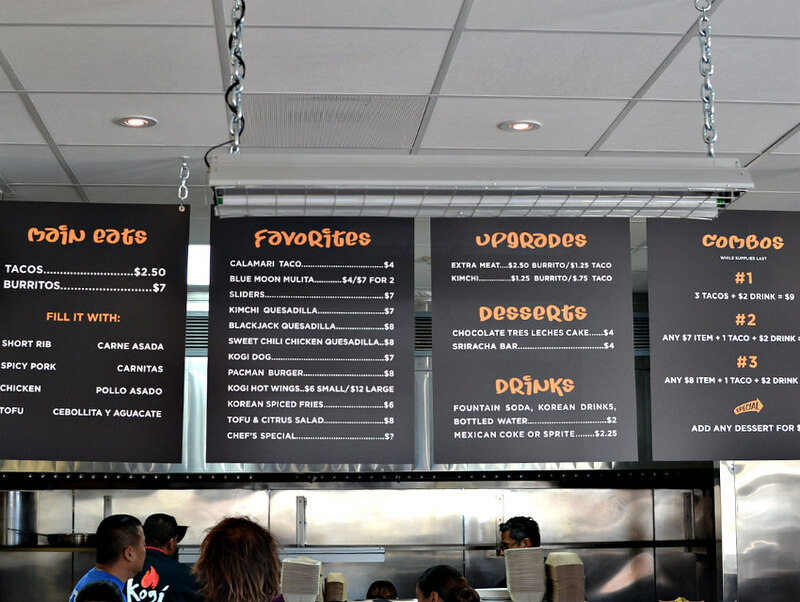 So it might be a surprise that Kogi Taqueria, which somehow feels like the Roy Choi-est of all the Roy Choi restaurants, fits into neither of those categories. 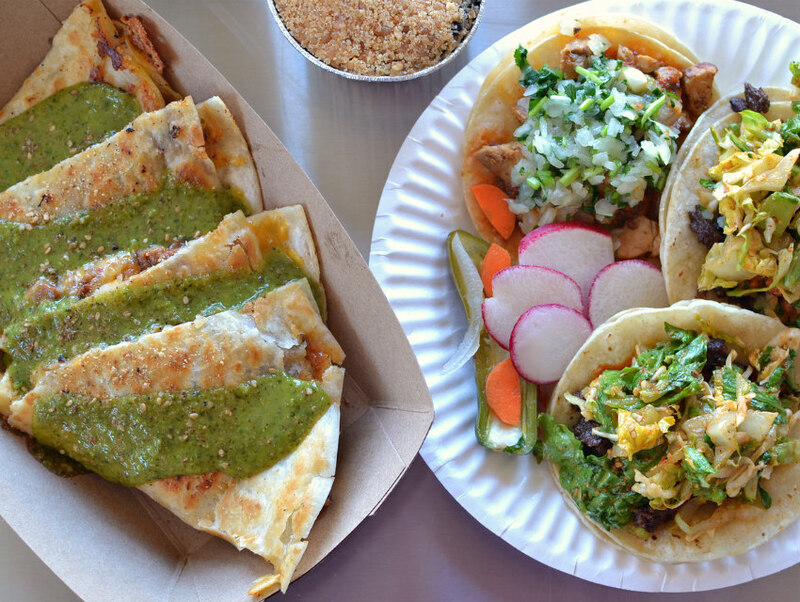 Sure, you can still get your kimchi quesadillas, your Pacman burgers, and your triple-caramelized short rib tacos, but the menu is anchored in simple, onion and cilantro-dressed taqueria classics. He’s playing the classic taqueria hits with carne asada, carnitas, pollo asado, and cebollita y aguacate (ok, that one’s not so classic) that you can get in either taco or burrito form. The tacos are of the two-tortilla, three-bite variety and the burritos are in that hybrid sweet spot that places them in no particular regional category. 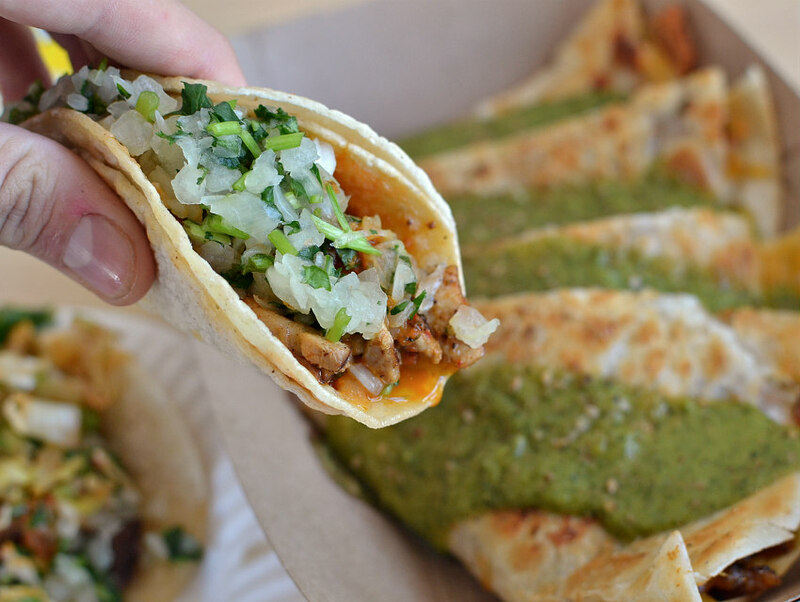 They’re filled with refried beans, Mexican rice, meat, salsa, cheese, onions, and cilantro, which gives them more frills than most of the L.A. classics, but leaves them a few thwaps of sour cream and guacamole short of The Bay’s Mission style. They could pass for standard, albeit a delicious version of that standard, in just about any city in California. The Kogi spirit is still very much alive at the new spot, and all you have to do to see that is turn to your left while standing in line. 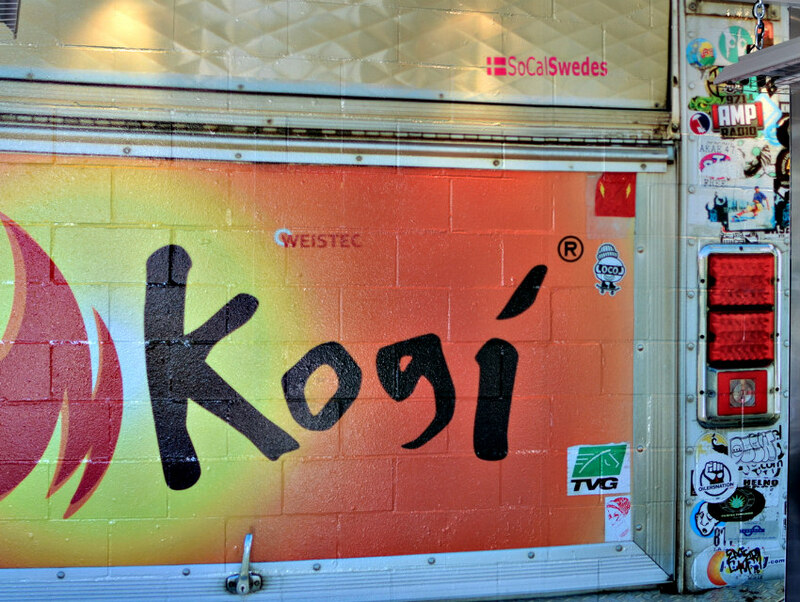 There’s a massive photo of the back of a Kogi truck—bumper stickers, license plate and all—acting as a sort of muse on the store’s only full wall. And, if there’s a far-reaching metaphor to be drawn from the new brick-and-mortar (believe us, we’ll try to find one) it’s that Choi wants the same vibe, the culture, and the ethos of the trucks to live on without being beholden to the genres it spawned. And he’s doing just that. Kogi Taqueria is at 3500 Overland, and is currently soft open from 11 a.m. to 11 p.m., Tuesday-Saturday, 11 a.m. to 9 p.m. Sunday, and is closed on Mondays.